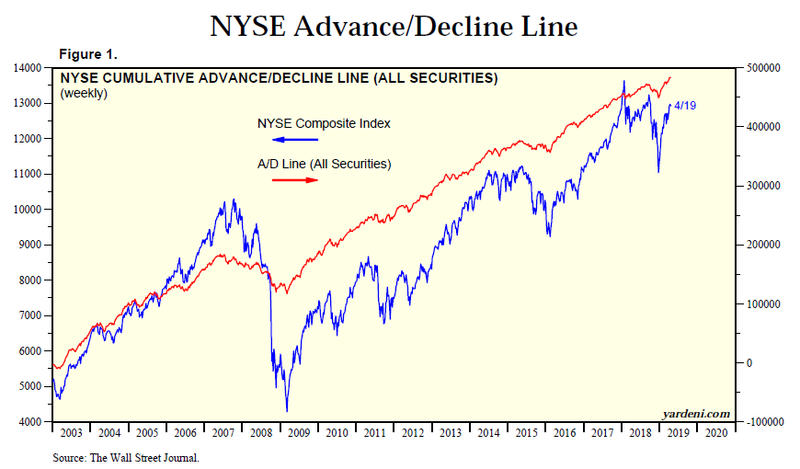 Will stocks follow as NYSE Advance-Decline Line soars to new highs? 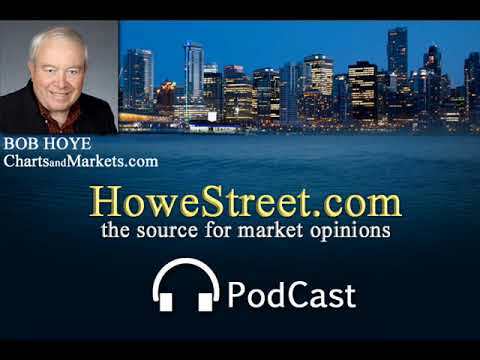 New highs in the New York Stock Exchange Advance - Decline (AD) Line are giving the bulls something to cheer about explains Bob Hoye in his April 17th broadcast. 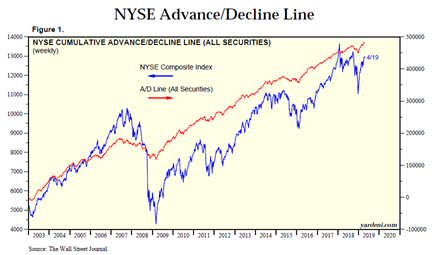 The AD line measures the cumulative net number of stocks over time that are gaining in price for a day versus those that are declining. 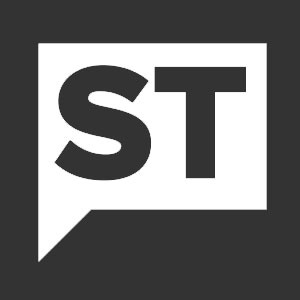 The market historian from ChartsandMarkets.com explains that the line often leads the market higher. 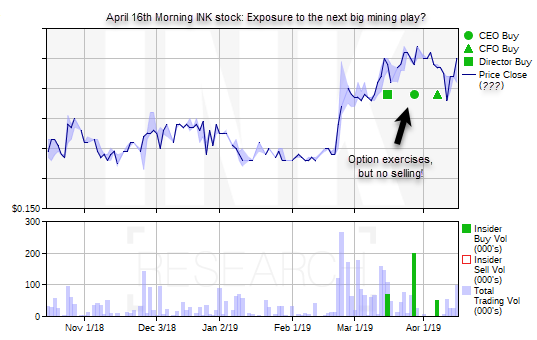 In our morning report on April 16th for club members, we highlighted insider activity in a prospective emerging Canadian mining play. While the name is only for those who have high risk tolerance, it is already up more than 20% since our report. If things go right in its play area, I believe the stock has the potential to go a lot higher. It is a stock I personally hold via a modest position. 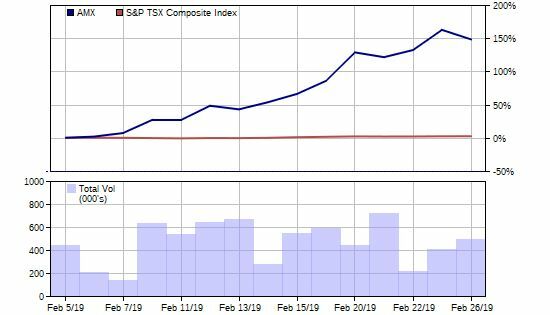 While this play remains off the radar screens of most investors, last week a big mining player made a nearly C$6 million investment in another junior in the area. Of course, there are no guarantees as drill results will ultimately determine the stock's fate. But if you are interested in junior mining or speculative situations, this is a report you will want to read.